Post them on our Facebook page! ​I'm Cyrilla Baer - I've been a professional actress (AEA & SAG-AFTRA) for many years (www.CyrillaBaer.com). As an actor, I am of course fascinated with the human mind and behavior. Fascinated enough that about a decade ago I became a Certified Hypnotherapist. I've worked with primarily performing artist clients for smoking cessation, phobias, recovering from childhood traumas and even just relaxation hypnosis. And I have especially loved researching how brain science and hypnosis affect the creative personality - particularly with those that perform in front of an audience. 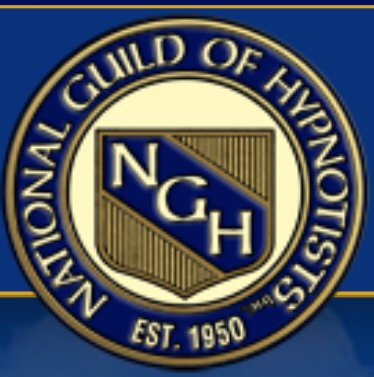 I received my Certification from The National Guild of Hypnotists in 2001. I was trained by hypnotherapist Gerald Kein of The Omnihypnosis Institute, who has a different and very effective approach to hypnosis. Mr. Kein has trained such noted hypnotherapists as Stephen Parkhill (author of the book ANSWER CANCER) and Cal Banyon of the Banyon Hypnosis Center (author, with Kein, of the book HYPNOSIS AND HYPNOTHERAPY, and creator of the 5-Path and 7-Path approaches to hypnotherapy, based on Gerry’s teachings). Hypnosis is a very powerful tool for change as long as the client truly desires change. Many people have strange ideas about hypnosis, though, such as a hypnotist having control over one’s mind. Actually, hypnotists act as guides while YOU do the work - people go into natural trance states many times a day without even realizing it. Hypnosis allows you to use a natural trance state to make changes to the way your brain processes information - moving past old ideas that “you can’t” to the belief that you “can” and will! A good hypnotist can help you to safely accomplish lasting change in your habits and beliefs. Many hypnotists just put a client in trance and read from a prepared script. But Kein’s, Banyon’s and Parkhill’s methods, which I use most often, work far better on overcoming traumas, phobias, and addictions. And simple hypnotic scripts, which I also utilize for simple changes, offer things like enhanced learning and memorization capabilities, and skills such as “instant” self-confidence that you can activate with a subtle gesture of your hand to use for auditions, public speaking, or any situation in which nerves can play a part. "How do you learn all those lines/steps/notes??" We've all been asked that question by an audience member after a performance - probably more than once. Whether you're a seasoned pro or a student just learning your craft, memorization is often the frustrating drudgery lurking behind the joy of your performance - and we all have to do it at some time or other! "Eyes-open hypnosis" has been used by hypnotists for many years to improve learning retention for students. But no one has created targeted sessions for actors/singers/dancers before. And no one has found a way to put it into a home learning format. With my "Hypnosis for Creatives" Series, I've created a way for you to study your script, music or choreography with your paper in hand or your lines or music playing in your ear. By putting you in an "eyes-open" trance, you can play through the instructions and trance induction, then repeat one track as often as you want for your study session, then the next track emerges you from trance while reinforcing your learning. Not just a session of suggestions for better memory, like most hypnosis sessions, these CDs actually go through your study session with you - enabling you to learn your lines, music and steps deeply and in real time with the session. It's a powerful breakthrough in using hypnosis at home! I’m not currently practicing, but I can make exceptions - If you’d like to figure out if hypnosis is right for you, send me an email at Cyrilla@Hypnosis4Creatives.com. Click here for the pre-recorded sessions you can use at home! ​There's a big difference between programs designed for the general public and "adapted" for actors as opposed to programs designed by a professional actor specifically for actors and other performers. Unfortunately, due to the chronic pain caused by my disability (Ehlers-Danlos Syndrome, you can read my blog about dealing with it here) I don't do private hypnosis sessions anymore. But if you have an interest, I can find a referral to another appropriate hypnotist (or if it's a quick fix, I may be able to make an exception). Sessions involving audition/interview confidence or relaxation are not too hard on me to do as a group, tho - you can put together your own group and book me to do a money-saving group session. • Even helping you create and follow through on a business plan! • There are also Metaphysical uses for hypnosis with Age Regression and "UltraHeight". "UltraHeight" is especially good for people who are shy about sharing personal things with a hypnotist, as I guide you to do all the work in your head and you don't have to tell me a thing! • And then there's plain old relaxation - hypnosis can relax and refresh you, almost like a massage for your mind! I'm always happy to spread the word about hypnosis! Email me with questions at Cyrilla@hypnosis4creatives.com. "Cyrilla worked with me on a very personal level before I had a series of oral surgeries. She customized her approach to me as a lighting designer, allowing me to visualize a light board. This worked, as I could use the various switches and controls to calm myself. During the surgery (3 wisdom teeth removed) I managed to remain calm and focused. It really worked, and has worked on some other minor medical issues since. Thanks Cyrilla!" "Eyes-open hypnosis" has been used by hypnotists for many years to improve learning retention for students. But no one has created targeted sessions for actors/singers/dancers before. Also, these sessions have always been done "in office", with office visits ranging from $150 to $1000 (yes, some hypnotists who specialize in working with actors charge over $1000 per session). No hypnotist had found a way to put it into an affordable, home learning format. With my Home Learning Series, I've created a way for you to study your script, music or choreography with your paper in hand or your lines or music playing in your ear. By putting you in an "eyes-open" trance, you can play through the instructions and trance induction, then repeat one track as often as you want for your study session, then the next track emerges you from trance while reinforcing your learning. Not just a session of suggestions for better memory, like most hypnosis sessions, these sessions actually go through your study session with you - enabling you to learn your lines, music and steps deeply and in real time. It's a powerful breakthrough in using hypnosis at home! Click here to go to the information and purchase page.